The Zeitgeist affects the emotions phrases evoke. One such phase is “coupon code”. 10 years ago (to me) it meant “use if you have one”. Today (to me) it means “leave this site and Google site.com + coupon code“. But it doesn’t have to be. If the phrase coupon code has been highjacked use something else. Just ensure the new phrase makes sense to shoppers that do have a code while not tempting others to hunt for it on Google. They’re begging me to leave the site and hunt down a coupon code (top of the screenshot). This is what Zingerman’s does. They use the phrase, “Have a secret code?”. 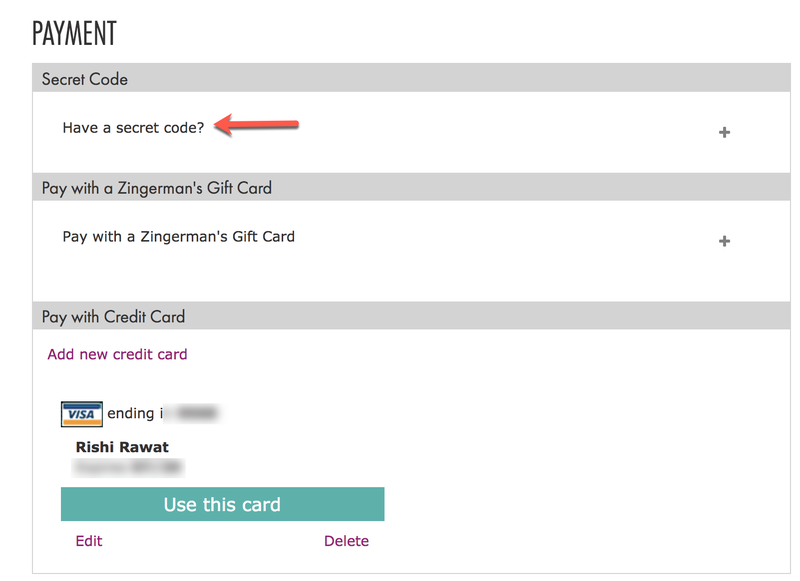 It’s great because customers with a coupon code will intuitively know coupon code is a form of secret code. But someone without a coupon code will not instantly know how to search online for a Zigerman’s secret code. It’ll require extra mental effort. And humans are lazy. Previous PostPrevious How Do You Feel?